I’ve been playing Retro Game Challenge for the DS. Some of the games are really challenging which I totally dig. It goes through the 80’s and you buy new releases that play like games of that year bad translations and all. Hype leading up to the releases and insider tips from the magazines are the best parts. 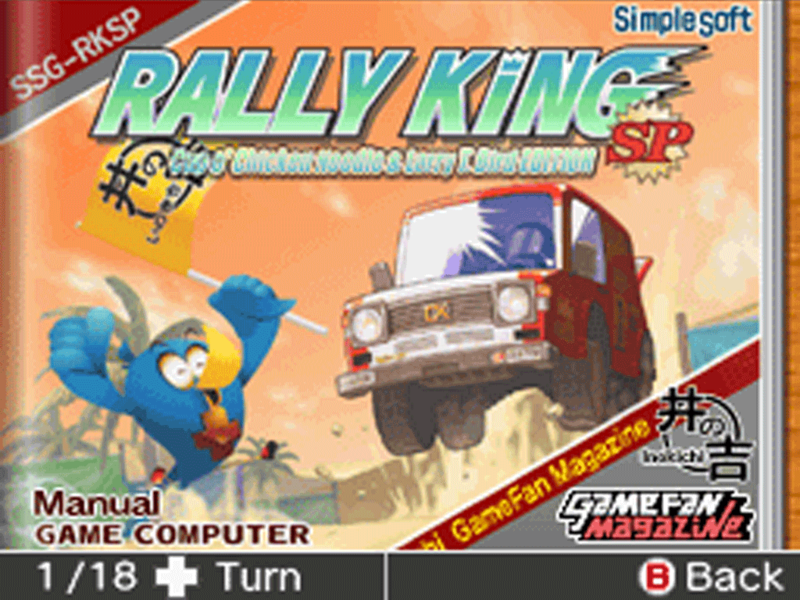 Rally King is my favorite so far, but I still have more to discover. I would have used a real kid for the voice acting of your buddy rather than a 30 year old man, though. ← Unity Indie is Now Free. Awesome. Thanks, I just really liked the cover of the game and had to redraw it. Hi! I'm an artist and indie game maker, and I drew the pixel art and animations for Crypt of the NecroDancer, created Fireplace, and co-created Hexels.